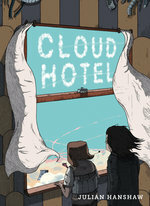 Julian Hanshaw won the Observer/Comica short story award in 2008 for "Sand Dunes and Sonic Booms." His graphic novel works include the Prix-Europa-winning The Art of Pho and I'm Never Coming Back. Julian also contributed to the multi-award-winning Hoax: Psychosis Blues. 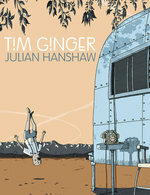 His most recent graphic novel, Tim Ginger, was shortlisted for the British Comic Award and the LA Times Book Award. He lives on the south coast of the UK with his wife, Sarah, and spends too much time thinking about cricket.